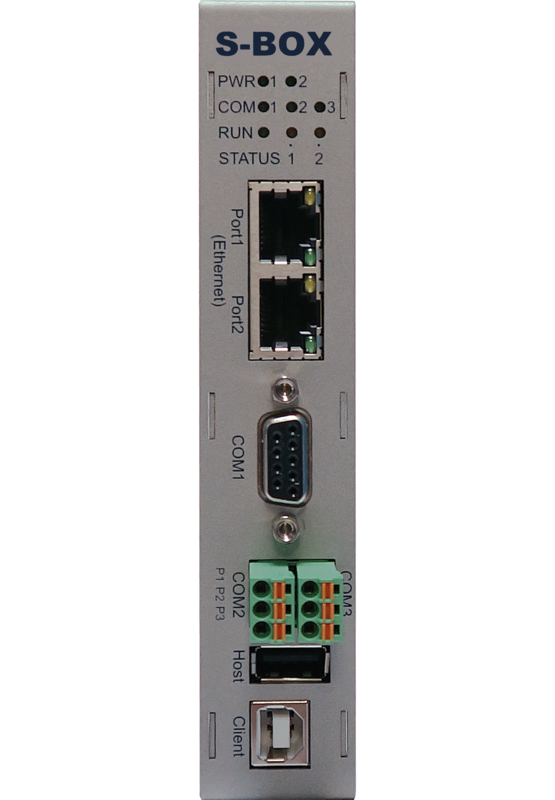 The SBOX SX32 works as a Local Gateway for data exchange between the different devices connected. Defined two different devices connected to the SBOX (COM/Ethernet), thanks to the 380 communication drivers, it work as interpreter and allow the communication (Data Exchange). 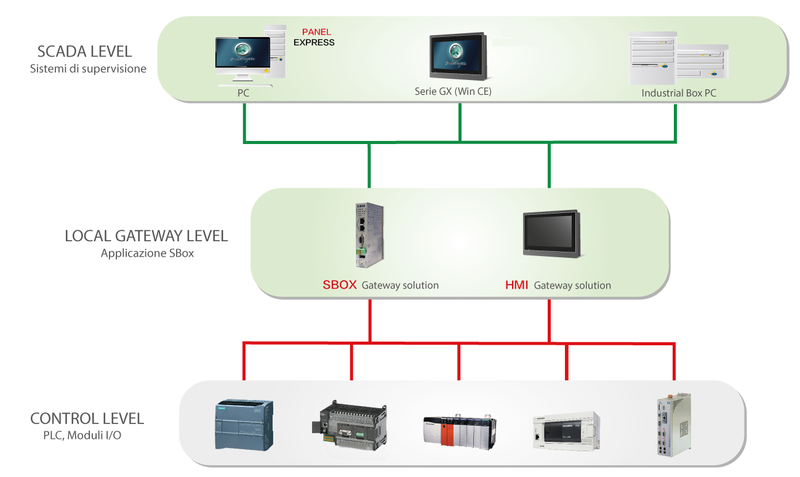 Through the standard protocols, Modbus RTU/ASCII, Modbus TCP/IP e OPC/UA, it can exchange data between the low-level devices (Inverter, PLC, drives) and the supervisory systems (IPC/SCADA).